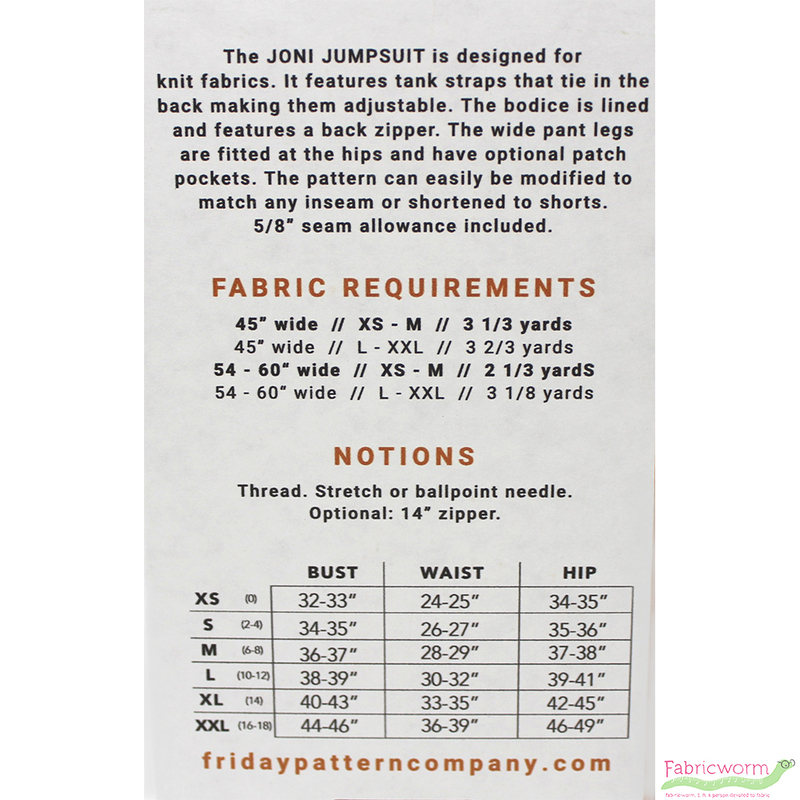 The Joni Jumpsuit is designed for knit fabrics. It features tank straps that tie in back making them adjustable. The neckline comes to a slight V. The bodice is lined and features a back zipper. The wide pant legs are fitted at the hips and have optional patch pockets. 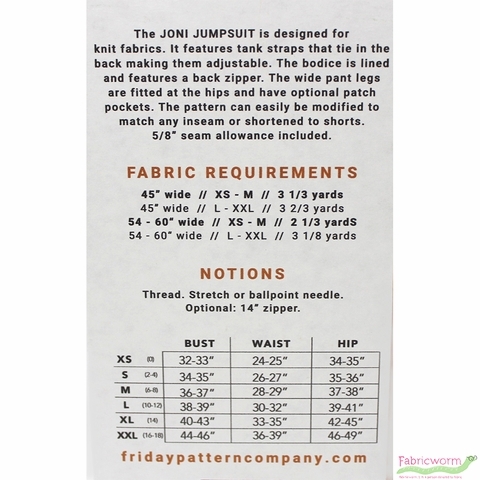 The pattern can easily be modified to match any inseam or shortened to shorts.